Welcome to the Exceptional Home where custom building & architecture meet the finest quality! When only the best will do, look here at this Architecturally Significant Residence Seated High on a Golf & Water Lot Overlooking the 8th Hole of the Blackheath Golf Course. 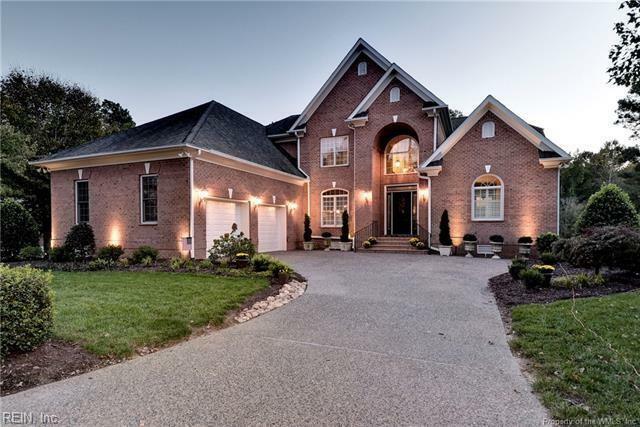 Welcoming Courtyard Entry with Stunning 20 Brick Barrel Arch Towering Over Front Door. Over 1.4 Million Invested in the build & upgrades, including a Passenger Elevator servicing all 3 levels, a Cooks Kitchen, 2 Screened Porches, & Superior Materials & Fixtures throughout. Two Master Suite Options & In-Law Au Pair Quarters. The flow of the space is so well planned, daily living & entertaining are a breeze. Large Entertaining Space at Garden Level has Full Sized Kitchenette. Professionally Planned & Maintained Landscaping for maximum Seasonal Bloom. Enjoy the outdoors & views of golf vistas, water & wildlife, all while living in this gated community. Will not disappoint, immaculate and move-in ready!